The Arjowiggins' Stoneywood Mill announced administration proceedings have been initiated. Hundreds of jobs are under threat at Aberdeen's last paper mill after a takeover deal fell through. The Arjowiggins' Stoneywood Mill in Bucksburn, which employs around 500 workers, was due to be bought by Dutch company Fineska BV last year. The proposed sale of business fell through shortly after Christmas as a result of "market trading conditions". Owners then filed for receivership earlier this month after the sale of the mill collapsed. However, on Monday, the company announced that administration proceedings have been initiated. In a letter to MSP Mark McDonald, Scottish business minister Jamie Hepburn confirmed the news. He wrote: "I am concerned to learn that the proposed sale to Fineska BV has now fallen through. "Unfortunately, the negotiations initiated in July 2018 with Fineska BV ceased due to market trading conditions outwith the control of the company." He said: "Today the company has now announced that administration proceedings have been initiated. "Arjowiggins are hopeful that administration offers the best opportunity to find a buyer and safeguard the jobs in Aberdeen." Mr Hepburn added: "The Scottish Government, its enterprise agencies and local partners will be doing everything possible to try to secure a positive outcome." Commenting on the announcement, East Labour MSP Lewis Macdonald said: "It's a great cause for concern that the proposed sale has collapsed, and that the company has now initiated administration proceedings. "The news will come as a real disappointment to the workforce and the local community. "It's vital that the Scottish Government and Scottish Enterprise now make every effort to find a new buyer and to keep Aberdeen's last paper mill open." 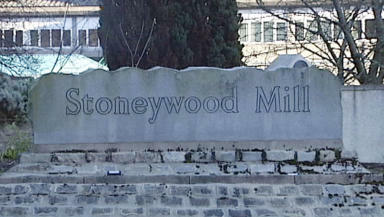 Joint administrator Iain Fraser, partner with FRP Advisory said: "The Stoneywood Mill in Aberdeen has a long tradition and reputation for producing fine and creative papers of the very highest quality for a global customer base. "Unfortunately, the business has been severely affected by rising costs and difficult trading conditions, and the insolvency proceedings begun in France left the directors no option but to place the UK companies in administration.
" We will continue to trade the business whilst exploring all options for securing a future for the site." A number of SNP representatives in the north east have contacted Jamie Hepburn - Scottish Government Minister for Business, Fair Work and Skills - regarding the mill. The joint letter was sent by MSPs Gillian Martin and Kevin Stewart, MP Kirsty Blackman and local councillors Gill Samarai and Neil MacGregor. They said: "The news is of course deeply concerning - however we hope that with the support of the Scottish Government a new buyer can be found as soon as possible. "We will continue to do all we can to support the Scottish Government's efforts to secure a bright future for the plant and the hundreds of jobs that depend on it. "We have invited the minister to an urgent meeting with Arjowiggins management, employee representatives and trade union groups to identify the next steps in our joint effort to keep this historic site in operation."